British rockers Bring Me The Horizon have released a new single, "Mantra". 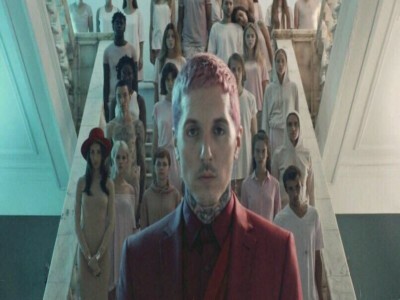 Singer Oli Sykes told BBC Radio 1 about the track: "It felt like the first thing we wanted to show people upon our return." Prior to the new song's premiere, Bring Me The Horizon launched a mysterious campaign, including a billboard reading "Do You Want To Start A Cult With Me?" That line ended up being one of the lines in "Mantra". The promotional campaign also saw the band starting a web site, joinmantra.org, with an initial message that read: "There are those who will say that only after a lifetime of sacrifice and good doing can the soul be free — that God demands conditions in the freedom and that some have the power of making mankind slaves." ->>> Download free MANTRA – Bring Me The Horizon ringtone for mobile at here!